Putting the finishing touches on a basement isn’t easy. This project takes a significant amount of time and money, but once it’s complete, you have added valuable space to your home. You can also increase your home’s value and make it more functional and comfortable for everyone who lives there as well as for your guests. If you plan correctly and design effectively, you can have a lifetime of enjoyment from your finished basement. You have a lot of potential with your basement, so make sure you don’t squander the additional room with needless designs and layouts. Consider your family size and makeup as well as what kind of entertaining you’ll do. If you have young children or if you have grandchildren who frequently visit, a toy room or play room is a great idea. If you have a large family, you should consider using much of the space for a family room. 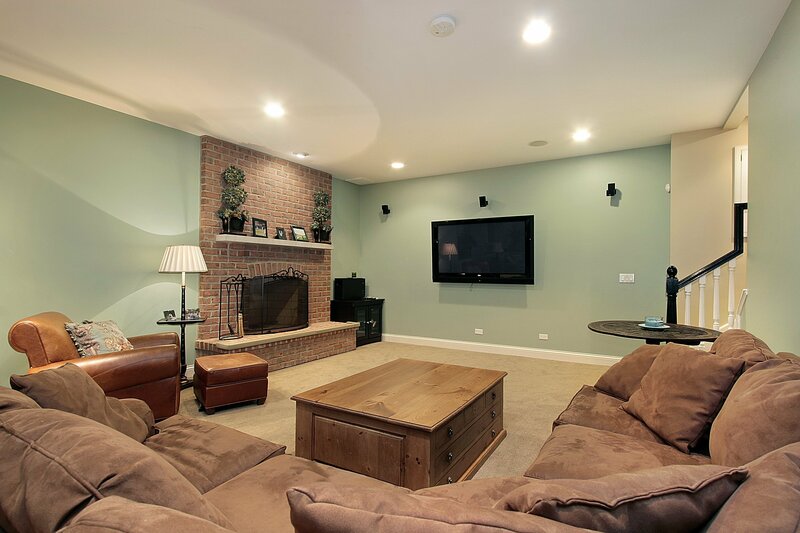 If you need a space to get away and find some entertainment, think about a media room in your finished basement. As you wrap up your basement project, you’ll need to decide what type of flooring is right downstairs. Because basements are more prone to flooding and water damage, if you want carpet, make sure you use a thicker pad and choose water-resistant options. Even better, laminate or tile are much more effective at withstanding water leaks and other water issues. Naturally, basements will get colder than the rest of the house, so it’s critical to take the right measures to regulate the temperature. You don’t want your basement to turn into one large cold storage area. Ensure that you have installed the right amount and right type of basement insulation. Also, make sure you have correctly sealed cracks and seams by windows. Your finished basement can be one of the most enjoyable parts of your home. With a little thought and work, you’ll love spending time here.